Paris, November 13, 2018. 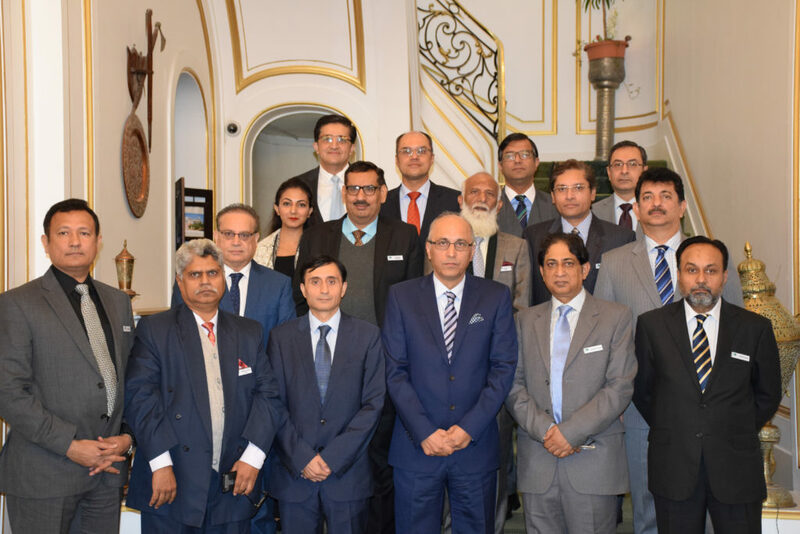 A 10-member delegation of 109th National Management Course of Pakistan called on the Ambassador of Pakistan to France Mr. Moin ul Haque at the Embassy of Pakistan to France in Paris yesterday. The Ambassador gave the visiting delegation a briefing about Pakistan and France bilateral relations. He said that the two countries enjoy close and mutually beneficial relations in the fields of trade and investment, defence, education and culture. He also briefed them about Public Diplomacy initiative of the Embassy to promote soft image of Pakistan and as well as highlighted tourism potential of the country. Ambassador expressed the hope that NMC’s visit to Paris would provide them a good opportunity to learn about the French administrative structure, their training regimes and best practices and policies in other fields. NMC delegation during their weeklong stay in Paris would have meetings/briefings at the Ministry of Foreign Affairs, Ministry of Climate Change, Centre of High Studies of Ministry of Interior (CHEMI), Business France, French Business Federation (MEDEF) and National Museum of Asian Arts (GUIMET). Paris 7th November, 2018. Twenty Pakistani Companies have setup stalls to showcase preventive gloves, headgear and other specialized risk preventive wears at the 3-day 27th Expo Protection, held in Paris from 6-8 November, 2018. Over 20,000 visitors and exhibitors from 33 countries visited the Pakistani stalls and showed their keen interest in the high quality and price competitive products of Pakistan. 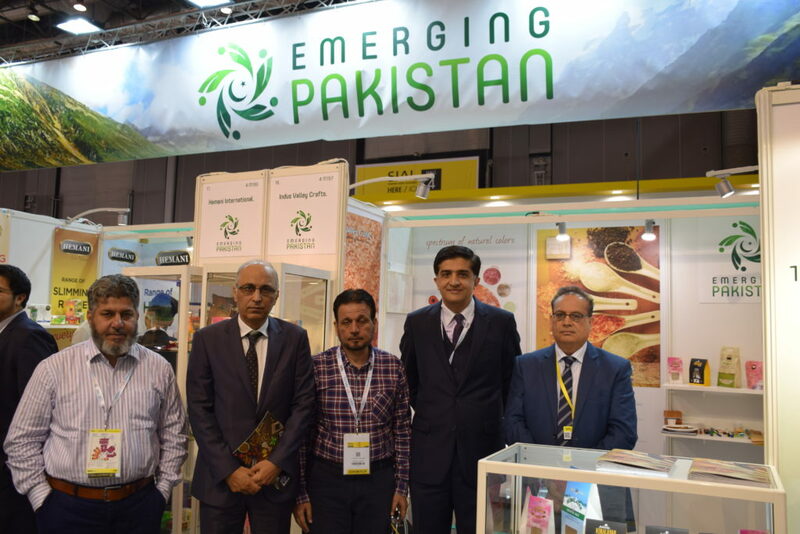 The Ambassador of Pakistan to France Mr. Moin ul Haque visited the Expo and thanked the Pakistani exhibitors for their participation and showcasing their high-quality products in the most prestigious exhibition of Europe. He hoped that their active participation in the exhibition would help to establish contacts with their foreign counterparts, develop partnerships, secure new contracts and promote their products in the rich and affluent markets of France and Europe. Over 550 exhibitors from 33 countries are participating in the 3-day International Expo Protection, 2018. Paris, le 7 novembre 2018. Vingt entreprises pakistanaises ont installé des stands pour présenter des gants de protection, des casques et d’autres vêtements spécialisés de prévention des risques lors de la 27e édition du salon international Expoprotection qui s’est tenue à Paris du 6 au 8 novembre 2018. Plus de 20 000 visiteurs et exposants de 33 pays ont visité les stands pakistanais et ont montré leur vif intérêt pour les produits pakistanais de haute qualité et à prix compétitifs. L’Ambassadeur du Pakistan en France, S.E. 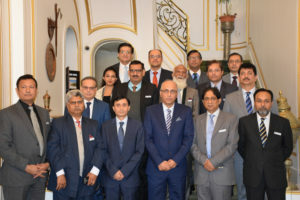 M. Moin ul Haque, a visité l’Expoprotection et a remercié les exposants pakistanais pour leur participation et la présentation de leurs produits de qualité dans l’une des plus prestigieuses expositions d’Europe. Il espère que leur participation active à l’exposition permettra d’établir des contacts avec leurs homologues étrangers, de développer des partenariats, d’obtenir de nouveaux contrats et de promouvoir leurs produits sur les marchés riches et prospères de France et d’Europe. Plus de 550 exposants de 33 pays participent au salon international Expoprotection 2018.